geneseefun.com is a comprehensive on-line resource for Arts, Culture, Entertainment, Events, Sports and Recreation. It highlights programs in theaters, museums, and outdoor venues throughout Genesee County, Holly and Owosso. It provides information that is in a single convenient online site and offers a calendar of events. geneseefun.com allows you to click or browse to find performances and exhibitions, classes and workshops, venues and artists. geneseefun.com lists what is available at the theater, cultural destinations, and sporting events. It also provides you with date, time, and even maps. So come and have fun in Genesee County! geneseefun.com is a direct result of recommendations from the Communications Task Force of the Community Cultural Plan (CCP), a project administered by the Greater Flint Arts Council. Established in 1967, the Greater Flint Arts Council (GFAC) is a non-profit organization whose purpose is "to be a catalyst of, and advocate for, increased artistic and cultural enrichment in our ethnically diverse community." GFAC strives to promote and celebrate the arts-building new partnerships and to lay foundations of cultural growth for all the arts in our community. The Greater Flint Arts Council is supported by grants from the Ruth Mott Foundation, Charles Stewart Mott Foundation, National Endowment for the Arts and the Michigan Council for Arts and Cultural Affairs. 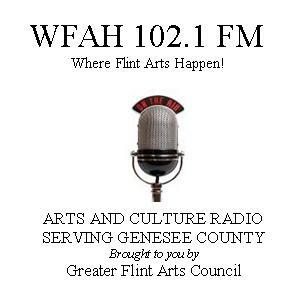 geneseefun.com wants you to be aware of the arts, culture and events in Genesee County. Discover its diversity. Get out and be part of it. Listen to the Flint Symphony Orchestra, attend a concert at Whiting Auditorium, enjoy a gospel musical at McCree Theater, browse the exhibits at Sloan Museum or Flint Institute of Arts, experience nostalgia from another time at Crossroads Village, bring your Family to the numerous festivals or see Tiger Woods at the Buick Open. We want YOU – the long-time resident, recent arrival, or visitor – to enjoy the vibrancy and the creative spirit that is in the Greater Flint Arts and Cultural Scene. The first step is knowing what’s there, so we have created this “virtual visitors’ center for the arts, culture and fun” to be your single, simple, one-stop source for information about performances and venues, exhibitions and destinations, workshops and other special events in Genesee County and surrounding areas.